Students - Isn't that quilt square beautiful? A friend just sent it to me...and she made a matching one for herself. So even though we live far away from each other, we can look at our quilt squares and feel our friendship. I love it. In fact, I love it so much that it made me want to write a poem as a way of thanking my friend K.
Sometimes an object can give a person a big feeling. This quilt square made me think about how much I love handmade gifts, both receiving and giving them. It made made ask a question to all who read the poem - an invitation to remember any handmade gifts from our pasts. You might want to try this. Walk around your home or outside or look around inside your backpack or desk and choose an object. Think about the questions it inspires. List these questions, choose one, and write! This poem almost grew up to be a Shakespearean - or English - sonnet. But it stopped growing at line 12. See, if this were a complete sonnet, there would be a rhyming couplet (two lines) at the end. And as I wrote this, I chose to leave the question hanging rather than to wrap it up with a couplet including my reflection. Yes, the poem had a mind of its own! I could not be more grateful and excited to share that my new READ! READ! READ! illustrated by Ryan O'Rourke, has made the 2017 Nerdies List for Poetry and Novels in Verse. It is a wonderful list and a wonderful honor. Thank you, Nerdy Book Club! Over at my other blog, Sharing Our Notebooks, you can find a wonderful peek into Julie Patterson's notebooks. Leave a comment...and you just may win a book. Do so soon as there will be a new post up after January 1. Heidi is hosting today's Poetry Friday roundup over at my juicy little universe with a beautiful celebration of poems about trees...and a photo of some lovely handmade gifts too. Please visit! We meet weekly, and everyone is invited. Happy glorious last Poetry Friday of 2017 to all of you! I am very grateful for this community...for those of you I know personally and those of you whom I have not yet met. See you in 2018! Children's love notes, hidden in my sock drawer, paintings of cats with visible hearts, snowflakes in December, spiders in October, eggs in March, hearts in February, a humble construction paper love note for every season. I'm rich in handmade love. Those homemade gifts do curl up in the soul like kittens and remain treasured. One of my favorites is a poem my daughter wrote me and then framed with the help of her dad. The quilt square is lovely. Yes! The very bestest of gifts! Wonderful poem, Amy! Yes, I have received homemade gifts. They are the best....and I try to make homemade gifts too. Love the poem. Kittens curling in my soul. Yes. It is a beautiful thing to have someone create a gift just for you. Lovely poem, Amy. Ingrid likes making things for others and made some for her Christmas gifts, such a sweet thing. And I have a special wooden spoon made for me by Arvie's uncle from a walnut tree's wood he had saved. Happy New Year! This is lovely, Amy! Your poems always make me feel like a friend has taken me by the hand. Oh, and Congratulations on having your book on the list of Nerdy Book winners! Happy New year. I hope 2018 hold many similar honors for you and your books. Homemade gifts are so rich! I love picturing them as kittens curled in my soul, soft and warm and comforting. I'm sure your friend treasures this poem just as much as you treasure your beautiful quilt square. Congrats on the Nerdy Book Club honor and best wishes for a wonderful 2018! Your poems are homemade gifts we get to enjoy over and over again! THANK YOU!! Yes, I have handmade gifts and they are curled up like a kitten in my soul. Thanks for making me think about these gifts and the significance of the hands that made them. Lovely post Amy, I'm enjoying reading all of the special homemade gifts that our poetry friends have made and received. And I agree with Mary Lee, "Your poems are homemade gifts we get to enjoy over and over again!" Homemade/handmade gifts are very unique and special–they are a little piece of another's heart sent to you. Happy writing in 2018 and Happy New Year! That's a beautiful square your friend made! My family and I make homemade gifts for each other every year and those are the best. The games are some of my favorites, because we have fun memories of playing them together. Handmade is great, but I'm completely distracted by your 2014 poem about the old years gossiping in the warm lodge. Your poems are a handmade gift for all. Thank you, and wishing you and yours merry and bright all 2018 long! Those gifts that were made with love and friendship are the greatest gifts of all. A very dear friend of mine gave me an afghan blanket that was crocheted by her mother. It is a truly special gift that I will treasure always. Your poem reminds us of the gifts of love from one heart to another. Thank you for sharing your gift that inspired such a thoughtful poem and question. Congrats on your book honor! Happy New Year to you, Amy! 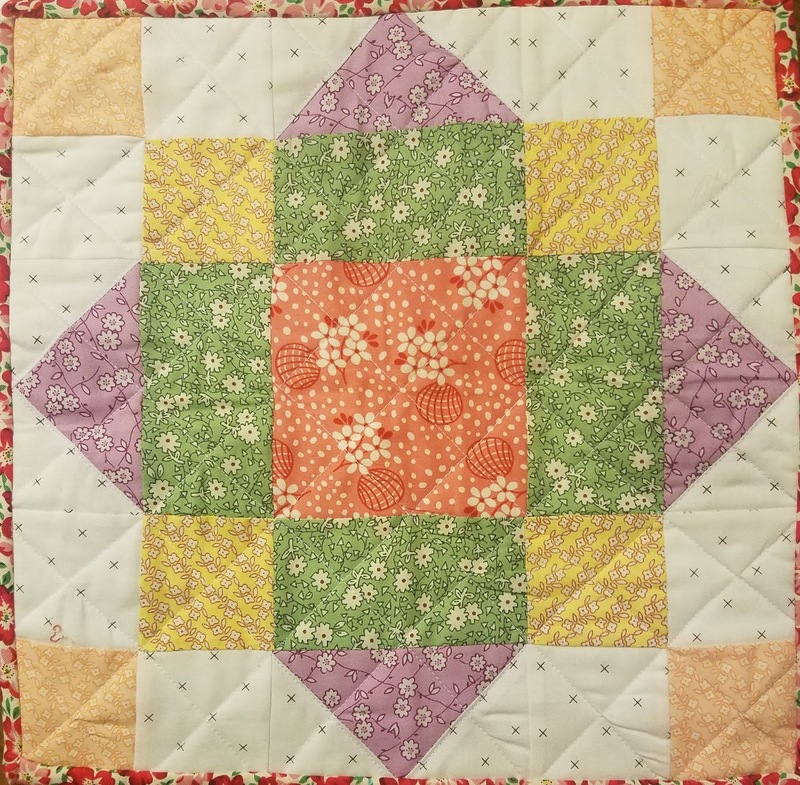 My partner's grandmother passed away recently at the ripe old age of 92, and she was a voracious quilter, sharing her creations with generations of families. 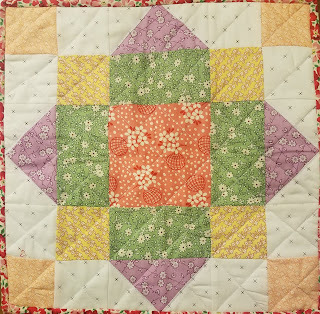 We still have some of her quilts, and we will treasure them! What an AMAZING year you had, Amy. Here's to another productive year! Amy, your poem is beautiful and thought provoking. As I read and reread, I thought not only of the many treasures handmade by my girls, but also, of all the extraordinary and ordinary memories that I am lucky enough to have from the last 23 years ~ all of which wouldn't have been possible without my beloved husband, John. He will always be in my heart. ❤️ (All of these memories are already inspiring my own writing~ I have an entire notebook/sketchbook dedicated to this writing).